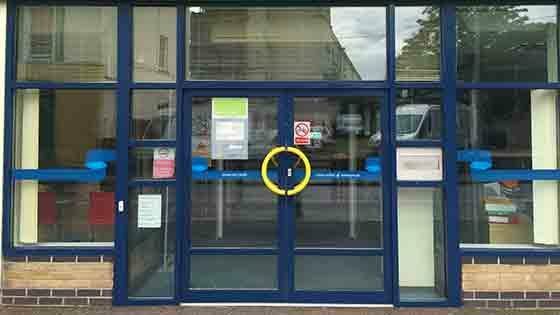 We Make Faded Metal Window Frames Look Like New Colour Restored or Your Money Back! 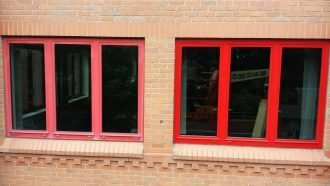 Coloured powder coated steel or aluminium window frames on today’s modern buildings fade over time, they can often be chalky to the touch. 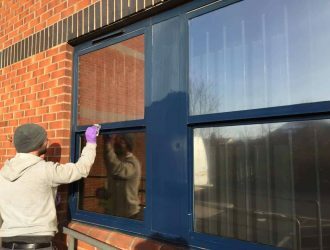 Window Frame Restoration London is undertaken by the countries leading dilapidation cleaning & restoring company Purple Rhino who have restored the colour back to its original colour on more window frames than any other powder coated aluminium window frame restoration London company. 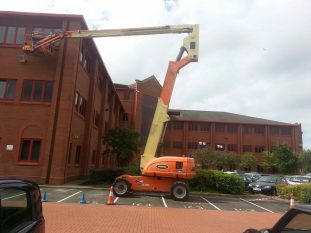 Chosen by leading facilities management companies to restore window frames to their customers premises. 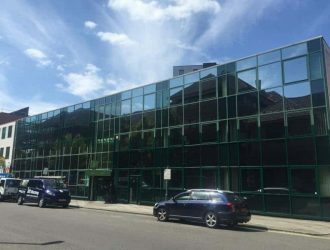 Purple Rhino have worked for major blue chip companies to restore window frames London to government building’s throughout London and the South East. We offer FREE suitability tests for all types of metal window frames in London so you can see for yourself how we make the window frames return to their original colours without costly re-painting. 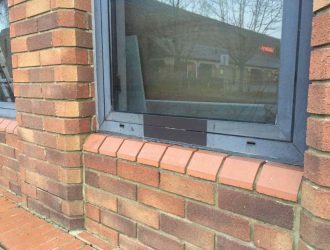 All you need to do is call us on 0800 1577484 to arrange for one of our experienced window frame restoration London based surveyors to visit you at your premises. You will be in safe hands, Purple Rhino are the countries only window frame restoration company who has been accredited with ISO9001 quality standard by UKAS. 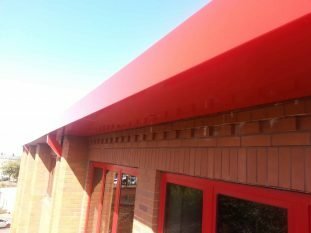 Not only that we have tested all competitors products for quality over time and developed our own unique colour restoration products with a leading manufacturer from the USA, our window frame restoration products are VOC FREE and safe for use in London. Due mainly to harsh UV sun rays, harsh chemicals and volatile purified water the window frame on your building is under attack. Original colours may be red for example and now look pink and washed out. If you are renting your building in London perhaps you should take a look at your buildings lease documents. You will find out that you are responsible for the upkeep of the building and will need to hand it back to the landlord in its original condition. 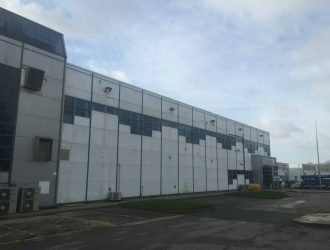 Purple Rhino have helped thousands of companies in London who have been served costly dilapidation orders asking them to replace with brand new the worn out window frames and faded metal cladding panels on their premises. 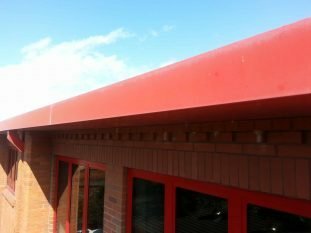 It is often better to have a scheduled plan in place to keep metal window frames and the exterior cladding from becoming dilapidated in the first place because if these surfaces fail you will be liable for replacement often costing tens of thousands of pounds. 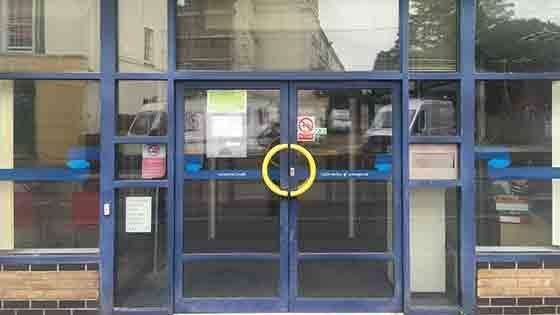 Purple Rhino can offer you long guarantees with our window frame maintenance service plan for all buildings in London. 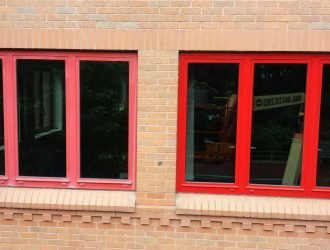 Red Powder Coated Aluminium Window Frames fade faster than other colours and benefit greatly from the Purple Rhino Three Step Window Frame Restoration London formulae to make them look brand new once again. 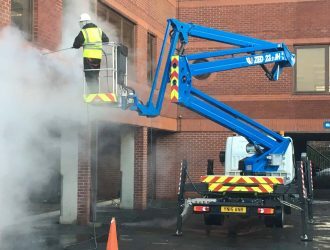 If you have multiple sites in London who need to have the window frames restored and agree to take out our three month service plan we can offer you an incredible discounted deal which will involve FREE external window cleaning services once every three month. 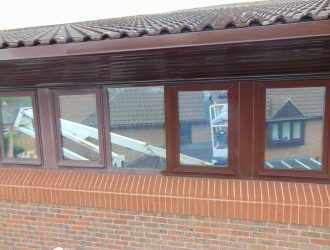 All you have to do is agree to have Purple Rhino restore your powder coated aluminium window frames at a discounted rate and sign up to our service plan which will ensure your window frames stay in perfect condition for as long as we maintain them. 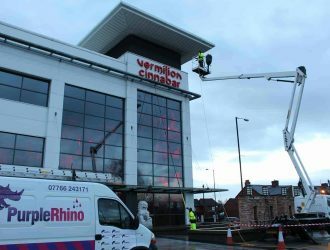 We will visit the building once every three month to check and inspect the condition of the window frames and clean all exterior glass for FREE – call us on 0800 1577484 to learn more about this special offer. When you are considering coating glass you should choose a company who has experience in glass coating services. What does your building say about you to your customers? When you need the best surface coating service give us a call today.